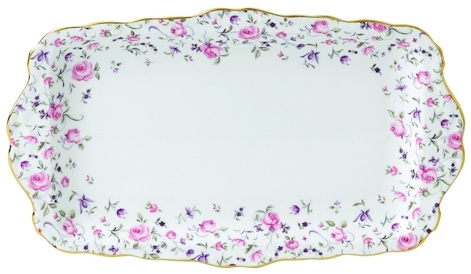 Amazon has dropped the price on this Royal Albert Rose Confetti Vintage Formal Rectangular Serving Tray to $22.99 with free Prime shipping, the lowest recorded Amazon price on this fine china item (compare to $58.00 at Macy's). Please note longer shipping time. Fill with candy or cookies and this makes for a very elegant hostess gift.